The Brisbane Festival has two nights left, and I really want to urge those of you who live in or near Brisbane - particularly those looking for some Friday or Saturday night entertainment - to get down to The Carnival's Edge at Southbank. My friendship with Philip Escoffey has seen me take in his mind-reading show three times now; and my fairly constant presence down at the site (out front of QPAC; under the great big ferris wheel) has seen me become better acquainted with some of the other performers - including Australian comedian Lawrence Leung and English magic man Paul Zenon. I really can't praise these guys (and all The Carnival's Edge performers) highly enough: they're wonderful professionals with creative and engaging acts, and their presence really adds to the comic credibility of the Brisbane Festival. I'm pleased to say that everyone who's come along based on my recommendation has really enjoyed themselves, which makes me very proud. It's great for Brisbane to have this type of festival atmosphere - we really should embrace it while we can. So I reinterate: If you have nothing to do, a few bucks in your pocket and a desire for experience - head down to The Carnival's Edge. The shows start from 5:45pm, and roll on through to midnight. Prices start from just $5, and there's food and drink available on-site (or just nearby at Southbank). Finally, the very first Impro Mafia show I have "officially" directed premieres this Sunday 4 October at the Brisbane Arts Theatre. It's called Jane Austen: By the Book, and we're going to be making up an entirely new Jane Austen novel. I'm going to be playing the famed English woman of letters, and will be inviting the audience to help me craft the storyline and characters. There will be beautiful ladies, gallant gentlemen, and a whole boxful of bonnets. If rehearsals are anything to go by, there will also be a fair bit of innuendo. 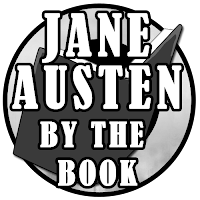 Jane Austen: By the Book begins at 7:30pm at the Brisbane Arts Theatre, 210 Petrie Terrace. There is free street parking outside the theatre; show tickets can be bought at the door and cost just $10. Did I mention our bar is fully licensed and serves delicious beer? So here you go people: a multitude of options for a cultured and comedic weekend! Dammit still 41 minutes to beer o'clock.